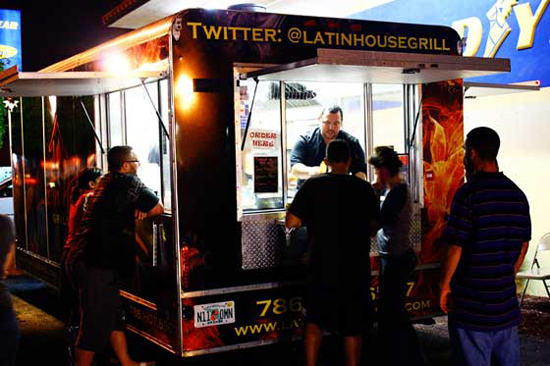 The latest food craze to hit Miami in the past couple years are these funky little food trucks! They’ve invaded every city from NYC to LA. This new concept is great because vendors focus more on the product instead of the overhead. They also feature ingredients that are locally sourced which is great especially with all the seasonal produce we have here. Americans usually get a bad rap for being the Fast Food Nation but this trend might be a step in the right direction. 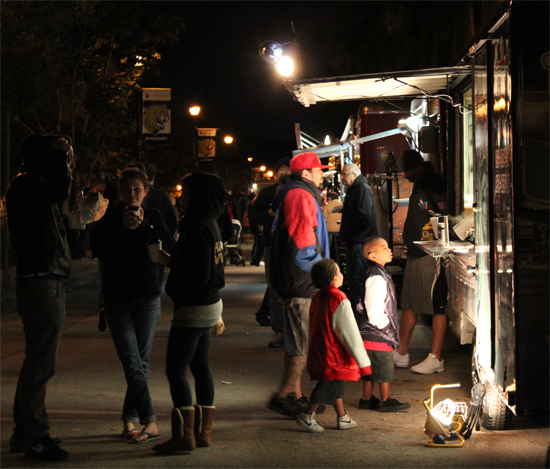 Back in the day, growing up in Ontario, the only food trucks we had were chip wagons. You’d get the usual street fare like Lester’s hot dogs, greasy burgers and the ubiquitous poutine fries; a French-Canadian concoction of fries topped with cheese curds and gravy. Nowadays, with the demand of all things regional, you’ll find them reinvented and fancied up with foie gras and almost every other topping imaginable. I should mention that the prices aren’t chip wagon prices although you’re mostly getting gourmet quality food. 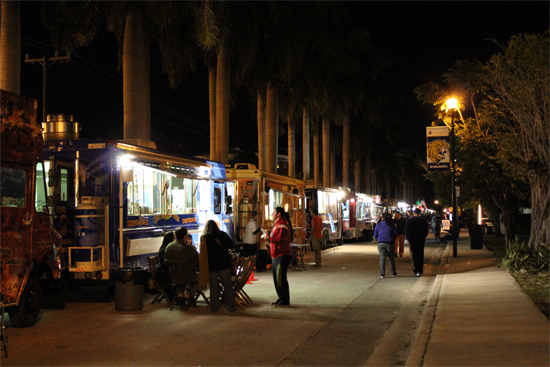 Some food trucks take credit cards but make sure to have cash on hand. 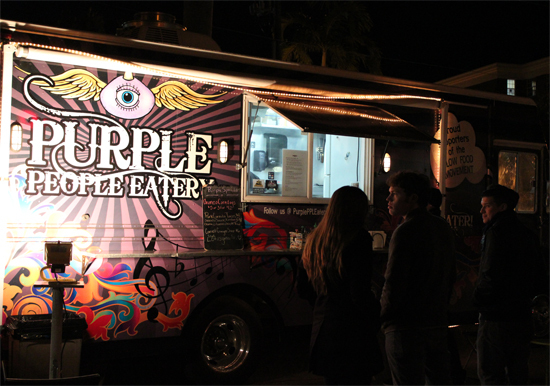 The higher prices may have to do with the ever-growing popularity of The Food Channel and The Food Network shows like Eat St. with James Cunningham and The Great Food Truck Race with Tyler Florence. It’s fun sampling from all the eclectic choices. Every time is different depending on what’s available. We usually frequent BTTR and Arts Park at Young Circle. We recently tried spicy Banh Mi sandwiches at Miso Hungry, juicy Kobe sliders at Cheeseme, fresh local seafood ceviche at The Fish Box and homemade ice cream sandwiches at The Coolhaus. Check out this link and find out what’s happening in your city!